India’s cuisine is definitely part of the immense richness and variety of the country. 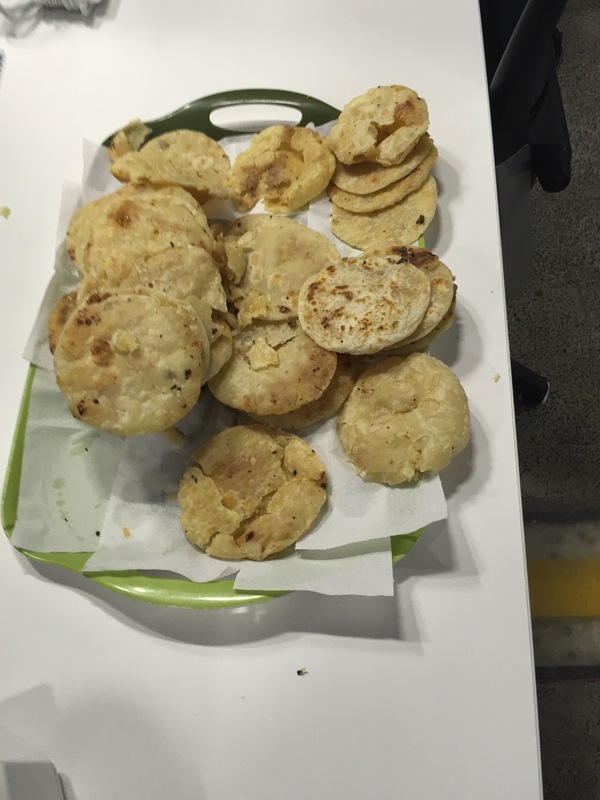 Far from just curries, Indian breads are definitely amongst the favorites. And just as I thought I couldn’t learn any more varieties of them, I got introduced to the sweet flatbreads. Saatori is a flatbread stuffed with sugar and coconut; traditionally from Maharashtran cuisine. Apparently these were more traditional version as they were coated in sugar. They were so good I might have eaten twice of my allowed amount. Parecen o galletas o gorditas, saben ricas?